The use, possession, sale, cultivation, and transportation of marijuana (cannabis) is illegal under Federal Law in the United States of America. However, the federal government allows States to decriminalize the use of marijuana for recreational or medical use if there is a regulation system in place within that State. As of the writing of this article, at least 12 States have legalized the use of marijuana for these very purposes. How does the legalization of Marijuana affect Jehovah’s Witnesses? This is a very interesting question and is one that will be explored in-depth here. 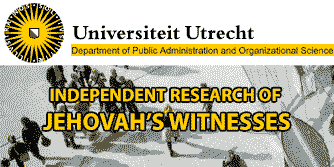 The intent of this article is to weigh up Jehovah’s Witnesses’ interpretation of scripture with secular laws and come to a most likely understanding. 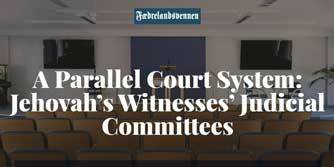 When Jehovah’s Witnesses in the New York Headquarters receive questions from members about doctrinal matters, they usually respond with guidance based on Scriptural principles as they interpret them. 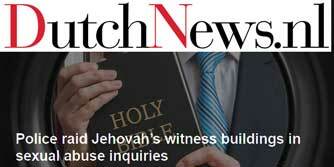 On that basis, this article will be written as if it is a “Questions from Readers” article in The Watchtower magazine. How should true Christians view the medical use of Marijuana in light of Bible principles? Firstly, it is good to have in mind that matters pertaining to health care are basically for personal decision (Galations 6:5). Of course, when giving consideration to treating a medical condition by using any mind-altering substance, one would need to weigh Bible principles that govern Christian conduct. Over the years, our publications have explained why the non-medical use of mind-altering drugs is in violation of the Scriptures. They have also provided Scriptural guidance in deciding whether to accept strong drugs when under a physician’s authorization and supervision and because of a severe physical problem that seems to warrant such an extreme measure. – See “Questions From Readers” in the January 15, 1968, and March 15, 1978, issues of The Watchtower. Could a Christian use marijuana for medical purposes within these guidelines? While it has been briefly acknowledged in the box on page 9 of the July 8, 2001, issue of Awake! that marijuana has been used to treat certain medical conditions, there are aspects of marijuana that can make the medical use of this drug questionable. Consider, for example, the medical concerns. Marijuana’s efficacy in treating conditions of health is still debated by medical scientists. Even more important are the spiritual concerns. For example, the Scriptures tell us to love Jehovah with our “whole mind” and render to him ‘a sacred service with our power of reason.’ (Matthew 22:37; Romans 12:1; 1 Peter 1:13-16) Christians are also exhorted to cultivate self-control. (Galatians 5:22,23; 2 Peter 1:5-8) Marijuana, however, can have disruptive effects on the mind and behavior. It can adversely affect one’s memory, coordination, driving, and ability to articulate clearly, and it can cause dependency. Such behavior can be similar to the effects of alcohol intoxication, or drunkenness, which the Bible shows can cause individuals to lose control, manifest confusion, experience memory loss, and become enslaved. (Proverbs 23:29-33; Isaiah 28:7; Titus 2:3) Of course, the Bible strongly condemns drunkenness. – 1 Corinthians 6:9,10. An additional factor is that one’s motives and heart’s desire can be put to the test. (Jeremiah 17:9) In contrast with many other drugs, marijuana has a history of widespread use for recreation simply because of its euphoric effects. Such feelings of euphoria can make it hard for a Christian to distinguish between any true medical benefits and what may merely be the intoxicating effects of the drug. Hence, a person could deceive oneself into believing that the drug is essential for his medical problem despite its harmful effects. Even if the use of marijuana might be recommended by a doctor to treat a physical condition, would that be the motivation for its use, or could it be, instead, the desire for the side effects of mild intoxication? A person who is seeking to maintain an approved relationship with Jehovah and a clean standing before Him should want to be satisfied that he or she is not using medically authorized marijuana primarily to experience its euphoric effects. The above is all the more relevant if one is taking marijuana to manage what appears to be a minor physical problem, has not given much consideration to less controversial treatments, or has a history of using marijuana or other mind-altering drugs for non-medical purposes. The March 15, 1973, issue of The Watchtower, pages 184 and 185, warned against taking drugs “simply to avoid facing up to life every day.” Additionally, if marijuana is recommended by a doctor primarily for depression or another emotional or mental disorder, a Christian should give consideration, as discussed above, to whether the drug will be beneficial in actually treating or controlling the condition or if, instead, any seeming improvement would merely be due to the euphoric effects. If a claimed medical use of marijuana simply serves as a preferred but unnecessary crutch in managing a physical, mental, or emotional problem, the situation moves significantly away from one where a medical condition is being managed with a recognized treatment under a doctor’s supervision to one where the individual may simply be taking the drug primarily, if not totally, for its euphoric effects. Finally, there are legal concerns. The Bible encourages Christians to be law-abiding. (Romans 13:1, 2, 5) Although some U.S. States have in recent years allowed the use of marijuana for medical treatment under specific circumstances, it is still illegal under federal law for someone to sell, use or possess marijuana for any reason, unless such use occurs within the confines of a federally approved program. In considering all the above-mentioned spiritual, medical, and legal concerns, many servants of Jehovah would likely not give consideration to the use of marijuana for medical reasons, choosing rather to treat their health problems with less controversial methods. Christians are encouraged to make personal decisions in such a way as to leave them with a clear conscience before Jehovah. (1 Timothy 1:5, 19) Although concerned about their health, they primarily want to avoid taking steps that could lead to serious spiritual harm or even ruin. They also have in mind not wanting to bring reproach upon Jehovah and his organization or to stumble others by what they do. – Romans 14:13; 1 Peter 2:12. On the other hand, after considering the above concerns, if a Christian along with a doctor’s authorization and supervision decides that treating his or her medical problem can best be done by the use of marijuana, the circumstances might be such that this one could be allowed to assume the responsibility before Jehovah for this decision and its consequences. (Romans 14:12) As already mentioned, much would depend on the motive, the particular health problem being treated and its severity, and whether the drug is recommended by and used under the active supervision of a qualified physician for that one’s specific health problem. Regarding the latter point, it appears that some doctors who authorize marijuana use provide no more than superficial evaluation and supervision. Where that is the case, a Christian should sense the responsibility to consult with his physician from time to time, requesting the doctor’s help in determining if his medical condition still seems to warrant the use of this drug or whether any adjustments in the amount, type, or manner in which it is taken might be advisable. Continued vigilance and evaluation on the part of the Christian would be essential in order to make sure the drug was not being taken longer than needed, just to satisfy a built-up dependency, or to experience the euphoric effects. – 1 Corinthians 6:12. What is stated above does not mean that the congregation could allow one of its members just to start medicating himself or herself with marijuana. While the elders do not “police” the medical decisions of Christians, they should, for the protection of the congregation and in the spiritual interests of the individual, have reasonable assurance that the Christian is not misusing a mind-altering drug. The elders would not be expected to make a medical evaluation, but it would be appropriate for them to hear why the brother or sister is considering the use of marijuana, helping that one to evaluate matters in the light of the principles discussed herein. If it becomes evident that a brother used poor judgment in accepting marijuana for an alleged medical reason, perhaps having taken “a false step before he is aware of it,” counsel in the spirit of Galatians 6:1 may suffice. However, a judicial committee would be required for a deliberate practice of misusing marijuana. When the use of a drug is known to produce effects similar to those caused by alcohol intoxication and it is taken without medical justification and supervision, this is a misuse of the drug. Also, the Christian congregation could not approve of one’s growing marijuana, whether for himself or others, even if legally permissible, since it is difficult to see how use of the drug under these circumstances could be properly supervised by a physician. Growing marijuana could lead to judicial action. Even if a situation was such that the use of marijuana seemed to be medically justified and did not require judicial action, the elders would need to give consideration to whether the brother or sister can be viewed as exemplary and thus qualified for special privileges of service. (Philippians 3:17; 1 Timothy 3:10-13; Titus 2:3-5; 1 Peter 5:2, 3) For example, while it is not the responsibility of the Christian congregation to enforce the laws of “Caesar,” if a person chose to use marijuana in a way that was in conflict with the law, the individual would have to assume the responsibility for any consequences resulting from his decision. (Matthew 22:21; 1 Peter 2:13, 14) One of these could be the loss of respect from the congregation, which, if that were to happen, would render that one unqualified for special privileges. Also, how is the marijuana taken? Is the brother or sister smoking it? While the mind-altering effects of ingesting marijuana in food or by means of a pill or vaporizer may in many respects be similar to those caused by smoking it, the latter would hardly promote respect for one as a minister of God. (2 Corinthians 6:3, 4) Therefore, if a Christian chose to smoke marijuana to treat his or her medical condition, that one would not qualify for special privileges in the congregation. Nor could one be used for such privileges if his or her medical use of marijuana other than by smoking became a source of stumbling in the congregation or community. – 1 Corinthians 10:31-33. If a member of the congregation was using marijuana for medical purposes, we trust that this article will assist elders in providing further help. Elders can help one to understand the Scriptural principles involved. They can kindly assist a brother or sister to evaluate their motives and the circumstances under which one is using marijuana. Thereafter, if one decides to use marijuana for medical purposes, the body of elders can review the factors discussed in this article to determine how a brother or sister’s use of the drug should be viewed in the light of Bible principles. As explained above, one’s situation might be such that the elders can leave the matter between her and Jehovah if marijuana has been authorized by a doctor as a legitimate treatment for a medical condition and a doctor is in some way actively involved in monitoring her progress as a result of using the drug. It should be noted that the amount of “supervision” may vary from doctor to doctor. If such time passes, a Christian should take the initiative to check back with his or her doctor. Thus, while the elders are not in a position to make a full evaluation of a brother or sister’s situation medically, the can help one to make an honest and realistic analysis of one’s motive for using marijuana. Has that one been using the drug as a last resort after making efforts to find more acceptable treatments? If so, then the body of elders might conclude that one’s use of marijuana for medical reasons with a doctor’s active supervision can be handled by two elders giving counsel in the spirit of Galatians 6:1, as noted above. On the other hand, if one has a history with drug abuse, could one’s motives have primarily to do with a desire for marijuana’s euphoric effects or to use it only as a preferred but unnecessary crutch in coping with daily life? If the body of elders in weighing all the factors is convinced that one’s motives are clearly questionable and that one’s situation constitutes a misuse of drugs that should be handled judicially, it is important that, before proceeding, the elders should write to their local branch office, giving details for their conclusion. – Shepherding textbook, chapter 5, paragraph 15. This could easily be an article in The Watchtower magazine. It could also be a letter issued by the service desk of a local branch office of Jehovah’s Witnesses in answer to a question from a body of elders. Either way, the elders dealing with such a situation have a host of factors to consider in determining whether a person’s use of marijuana is Scriptural or not. Marijuana isn’t the only “mind-altering drug” used for medicinal purposes. Most of the drugs used for the treatment of depression, anxiety, insomnia and other mental health problems are mind-altering. In fact, many of these drugs are addictive and have many adverse side effects. Take for example, zopiclone (zimovane). If you were to re-read the article above by replacing the word “marijuana” with “zoplicone”, would you think that the article is fair? Zopiclone is only to be taken for 4 weeks or less because it is highly addictive. Yet, doctors do prescribe it for longer periods of time for many patients who have difficulty falling asleep. How would elders deal with such a situation? The answer is simple: elders do not get involved. A doctor prescribes medicine, the patient takes it. Nothing more to be said.